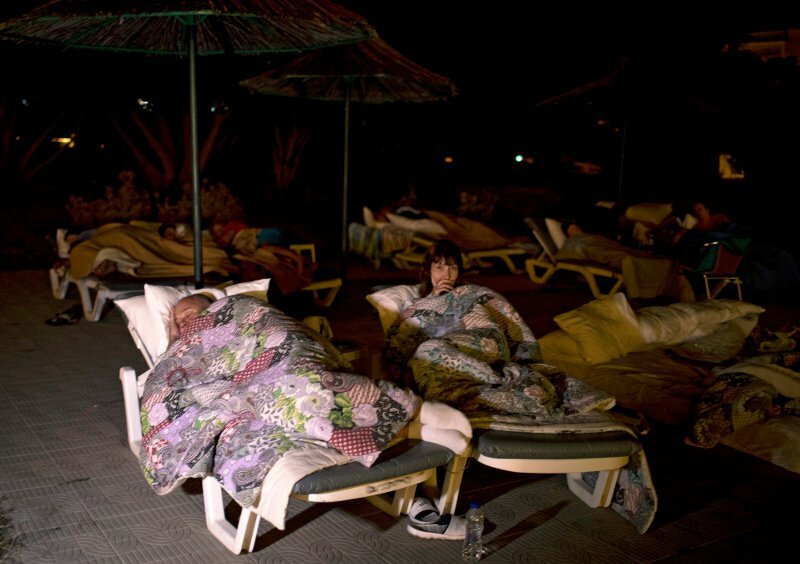 Hundreds of people on Kos spent the second night sleeping outdoors in fear that strong aftershocks will follow the earthquake that killed two people and injured about 500 early Friday morning. Residents and tourists were too afraid to return to their homes and hotels, sleeping out in parks and fields, or in their cars. About 200 low-scale aftershocks, with 20 of them slightly above 4 points on the Richter scale, kept people on their toes. Kyritsis said the biggest infrastructure problem on the island was the damage to the main port, he added divers would be heading to the area to examine the condition of the jetty, and ferry connections with the port of Kefalos have been restored. 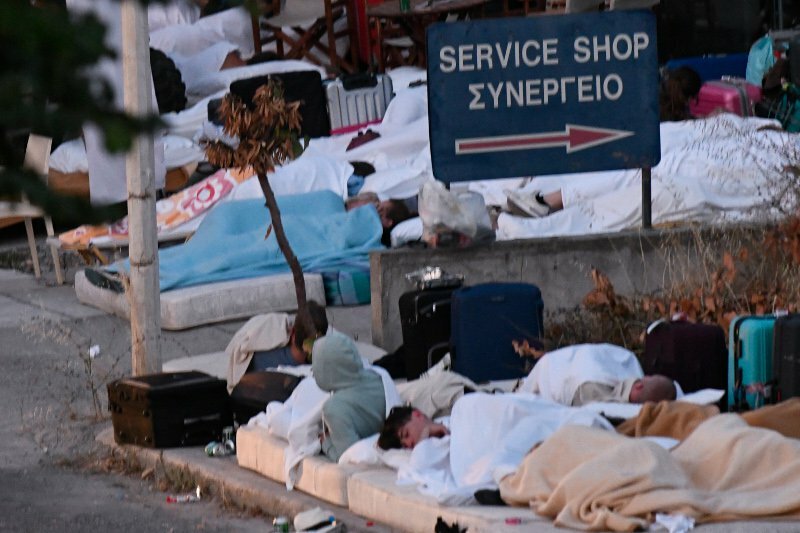 In an update on the condition of the four patients airlifted from Kos with serious injuries after Friday’s strong earthquake, the Iraklion University General Hospital on Saturday announced that two of the patients, both foreign nationals, were still in critical condition. “A man, 21 years old, of Swedish nationality has undergone orthopedic surgery and remains sedated and intubated in an ICU, with multiple fractures and a subarachnoid haemorrhage. He is haemodynamically stable. His conditions given the facts so far is considered critical. A 23-year-old man of Norwegian nationality has also been admitted to the ICU after surgery, where he is under sedation and intubated and has undergone a double amputation of the two lower limbs (at the shin and foot). He is haemodynamically stable and his condition until now is judged critical,” a hospital announcement said. A 37-year-old Greek man with an injury to his right eye socket had surgery late on Thursday afternoon and is now being treated in the hospital’s eye clinic while a 28-year-old Greek woman with a broken right leg and left foot is being treated in the hospital orthopedic clinic, the hospital said.“The hospital’s staff are continuing to make every possible effort to successfully treat the above cases,” the announcement concluded.